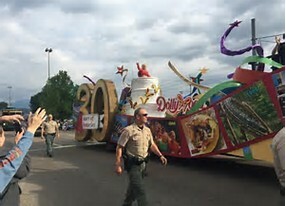 Watch as local entertainers, colorful floats, military veterans, and marching bands make their way down the Parkway in Pigeon Forge to welcome the grand marshal, Dolly Parton, home. 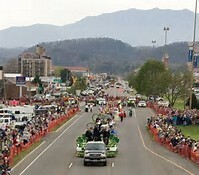 Pigeon Forge’s most anticipated parade usually draws over 50,000 Dolly and Pigeon Forge fans alike, so make sure to get there early to secure a good viewing spot. The parade begins at 6:00 PM and travels from traffic light #6 to traffic light #3. 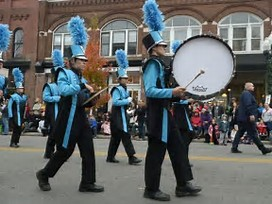 The Dolly Homecoming Parade is a free event, and has a variety of participants to entertain the entire family. 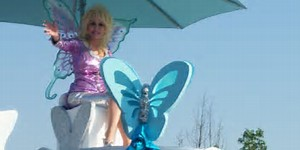 Enjoy the creatively decorated floats against the backdrop of the Great Smoky Mountains, and see Dolly Parton in person! This is our kick off to summer time fun. Come see us and enjoy this wonderful parade lead by the beautiful Dolly Parton herself. You will be glad you came. Hope to see you there!